Featured Products At Charisma Salon! New at Charisma Salon and Day Spa! We are now carrying such luxury brands as the Kevin Murphy hair care lines and Living Proof. Also, both brands stand out in the hair care field and are known for their advancement in hair care and styling. These featured products are going to make you look great, pick yours up today! This month we are featuring a few products in our monthly specials and wanted to tell you a little more about them! 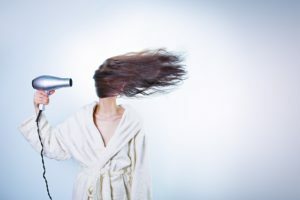 Help Your Damaged Hair With A Deep Conditioning Treatment At Charisma Salon! This time of year the weather is drying out, and so is your hair and scalp. Thankfully here at Charisma Salon in Livonia, we have just the thing to help! Our MoroccanOil conditioning hair treatment can help repair chemically and heat damaged hair, leaving your locks feeling light, strong, and rejuvenated. May specials are here! We want you to take advantage of the specials we are running this month so you can feel your best! One company we are offering this month is a local Michigan business called Creation Pharm. We love promoting local businesses from the Mitten state, and want to give you a little info about what we are carrying. 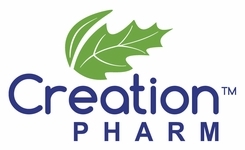 Creation Pharm is a company that’s based out of Beulah, MI up on the North West area of the lower peninsula. We are carrying their Chamomile and Lavender Calendula Cream product, chamomile is known for its relaxing properties while calendula oil is great for hydrating dry, dehydrated, and irritated skin. Along with treating eczema it is also known to help with restoring damaged skin tissue and can help irritated skin. Need some help getting ready for the holidays? We can help! Charisma Salon and Day spa can help get you ready to look your best and give the best gifts this holiday season! We are going to be open on Christmas Eve and New Year Eve to help you look and feel amazing for whatever your night holds! We will be open until 6 pm for hair, makeup, nails, massage, and facials. Make sure to call in advance to schedule your appointment! Can’t think of the perfect gift to give your significant other, mother, daughter, co-worker? Make it easy on your self and give your loved one a Charisma Salon and Day Spa gift certificate. Let them decide how they want to spend it on any of our amazing hair and spa services. We’ll pamper, primp, and treat your special someone right. Save yourself the stress of picking the right gift, and let us take care of it.